Love is a battlefield. 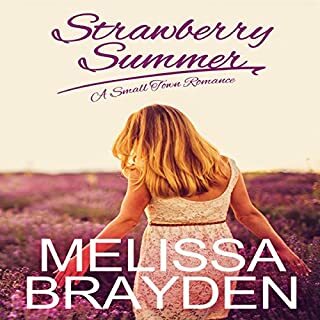 Shelby Summerfield is a Southern belle at a northern college in 1993, which is a challenge to begin with. And yes, Florence Truong, the object of Shelby's lust and the only other woman on campus not wearing flannel, does catch her in what looks like a compromising position with a straight boy at pub trivia night. But Shelby is a gold star lesbian and Florence's dapper fashion sense makes her weak in the knees, so her rejection stings hard. Funny story! You can't go wrong with this one. I enjoyed this book. I thought the narration was great. Shelby's Southern drawl, phrases and her need to get the girl make the book so entertaining! I really need a book 2! Intriguing, a nice slow/sweet start (young love). The chapter headers made it easier to keep on track in the audible version of the story, as the story went from past to current. The narrator does a decent job, but I wasn’t too keen on her voice for Margaret. Courtney sounds sophisticated, whereas Margaret just sounds young. Overall, it’s a enjoyable book. 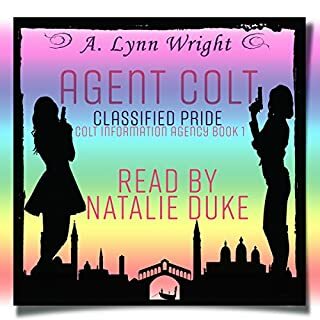 Latesse Colt is a super spy with a gold track record, a womanizing pig for a partner, and a secret she had never told anyone until a conversation aboard a plane with a complete stranger named Vaneesa. When Vaneesa turns out to be the newest member of her team, Tess is afraid her secret won't stay that way for very long. Tess is put on the lead of their newest case, and she finds that working with Vaneesa both thrills her and terrifies her. And gives her the strength to shed her tough skin, finally facing her fears of coming out. I got drawn into this story pretty quickly. It's a short story, but does end on a cliffhanger, so room for continuation. I'd be interested in seeing more of Tess and her new agency - Colt Information Agency - as well as learning more of her background.